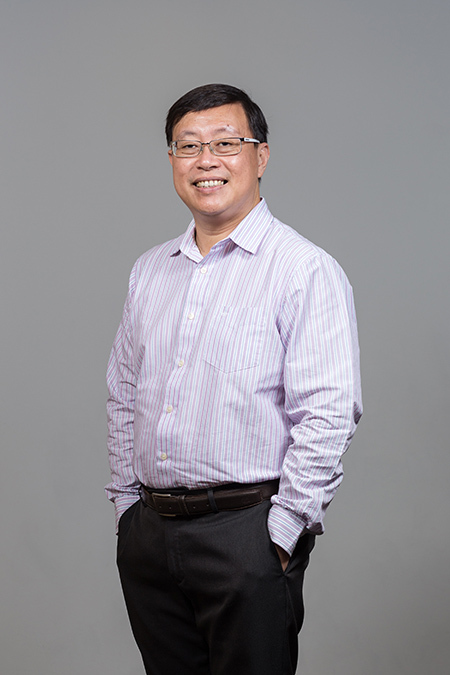 Guo Charng Rang is an Associate Professor at the School of Computing at the National University of Singapore and the Programme Director of the National Cybersecurity R&D Lab (NCL). NCL is a national lab funded by the National Research Foundation hosted in NUS School of Computing. The objective is to support the Singapore cybersecurity community in R&D and education. To this end, NCL runs a cluster of more than 200 computing machines and provides cloud services and other higher level services to the community. In particular, NCL develops simulated enterprise network with vulnerabilities that has a wide range of applications, such as usage by education institutes to conduct cybersecurity lessons. The lab was officially launched in Feb 2015, and has supported more than 70 projects from academia, industries and government agencies and achieved full utilization after around a year. Almost all the universities and a number of polytechnics in Singapore are involved in the NCL initiatives, conducting lessons, performing research, or collaborating in other projects. A/Prof Guo oversees the development and operation of NCL, while the other two faculty members in NUS SoC, A/Prof Chang Ee-Chien and A/Prof Liang Zhenkai, oversee the research aspects of the lab. Prior to joining NUS, A/Prof Guo works in DSO National Laboratories and Defence Science and Technology Agency for more than 20 years, specializing in cybersecurity, in particular, in cryptography and trusted system. On the Zeros of z(s) and z’(s), Journal of Number Theory, Vol 54, Issues 2, 206 – 210. Analysis of RFID Mutual Authentication Protocols, IEEE Wireless Communications and Networking Conference, 2009.